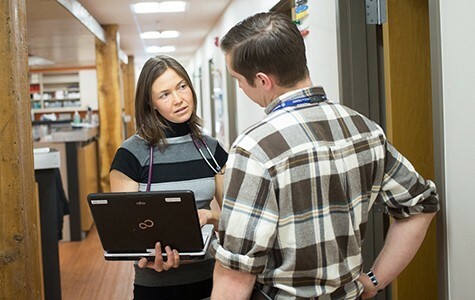 Through a public-private partnership, the AIMS Center supported eight rural community primary care clinics serving low-income patients to implement collaborative care (also called collaborative care management or CoCM) in the WWAMI region, a geographic area served by the University of Washington School of Medicine and representing 27% of the land mass of the United States. These 8 clinics planned to serve 3,250 patients but ultimately enrolled 5,392 patients. This represents 16% of the total unique patients served by these clinics and is a significant increase of the patients they were able to reach before implementing CoCM. "Partnership Advances a Revolution in Mental Health Care"
"Bringing Proven Depression Treatment to a Greatly Underserved Population"
"Innovative Depression Treatment Helps Sophie Enjoy Better Mental and Physical Health"
"SIF Grant Helps Strengthen 'Butte-tiful' Community"
"For Missoula Clinic, SIF Program Support is a Dream Come True"
"Foundations Partner to Expand Depression Care in Rural Montana"
"Fighting 'Chronic Despair' in Rural Communities in Washington State"